What does SSLC mean in Organizations, Education Schools etc. What does SSLC stand for? 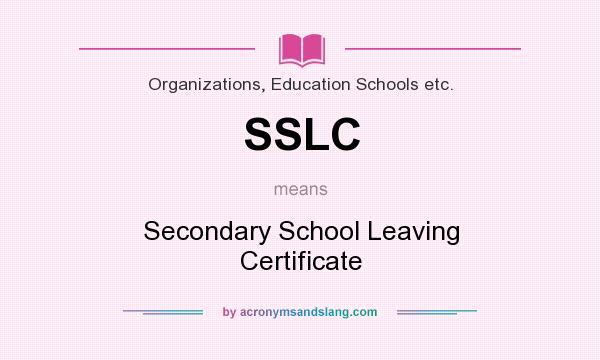 SSLC stands for "Secondary School Leaving Certificate"
How to abbreviate "Secondary School Leaving Certificate"? What is the meaning of SSLC abbreviation? The meaning of SSLC abbreviation is "Secondary School Leaving Certificate"
SSLC as abbreviation means "Secondary School Leaving Certificate"